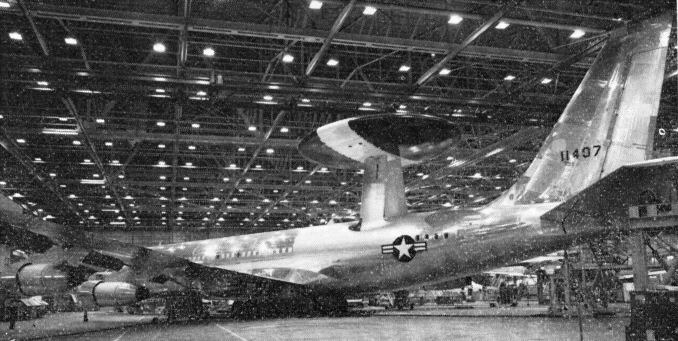 First flight of the Boeing EC-137D was made on 9 February 1972 at Renton, closely followed by the second of the two AWACS test-bed aircraft. One has a Hughes Aircraft radar, the other Westinghouse equipment in the rotating dorsal radome. In other respects the EC-137Ds are similar to the Boeing 707-320Cs but production aircraft will each have eight TF34 engines. This unusual formation of a Kamov Ka-25 (NATO code-name "Hormone") and a Sikorsky SH-3D was photographed during a deplyment to the Norwegian Sea. The Ka-25 had been launched from a Kresta II guided missile-armed destroyer leader of the Soviet Navy to shadow the Intrepid, which in turn launched the SH-3D. Armed version of the Helio Stallion purchased by USAF for its Credible Chase evaluation and possible future use by South Vietnamese Air Force is designated AU-24A. Prototype is illustrated here woth 500 lb (227 kg) bomb under fuselage and CBU-14A/A bomb dispencer under wing. The engine is a Pratt & Whitney PT6A-27 turboprop. Rolled out on 5 February 1972 at Seattle, this modified de Havilland C-8A Buffalo with an augmentor wing was expected to fly in mid-March. Modifications made by Boeing under NASA contract comprise installation of two Rolls-Royce RB.801 (modified Spey) split-flow turbofans, and fitting a new, shorter-span wing incorporating ducting for the engine by-pass air that is ejected through a span-wise trailing edge slot. Following a 30-hr flight test programme by Boeing, the aircraft will go to NASA's Ames Research Center for full investigation of its STOL characteristics. The Kaman SAVER has recently been flight tested in the configuration shown. 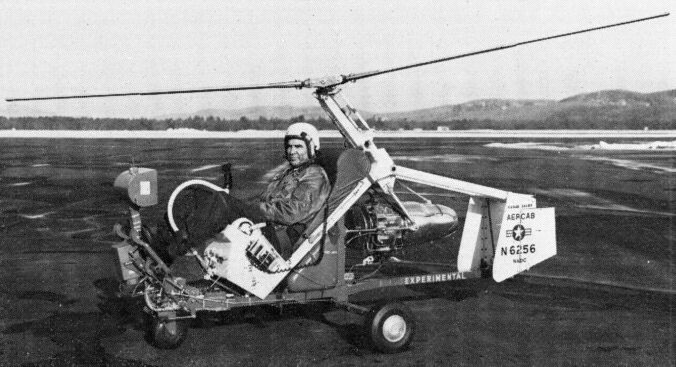 Claimed to be the world's first jet-powered autogyro, SAVER is an aerial escape and rescue capability (AERCAB) vehicle funded by the US Navy and is intended to provide a fighter's standard ejection seat with the ability to fly a considerable distance if an ejection is made over enemy territory. VFW-Fokkers' Rhein-Flugzeugbau subsidiary is now flight testing the Sirius II in its investigation of integrated ducted fan propulsion. 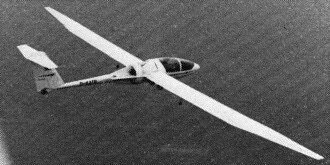 First flown on 18 January 1972, Sirius II has two 30 hp Fichtel & Sachs Wankel-type engines driving the high-speed propeller that is contained in a duct forming an integral part of fuselage design, and the wing and tail unit of a Caproni Vizzola Calif A 21 sailplane. Use of Wankel type engines makes intermediate gears unnecessary and two-engined reliability is achieved with a single propeller.